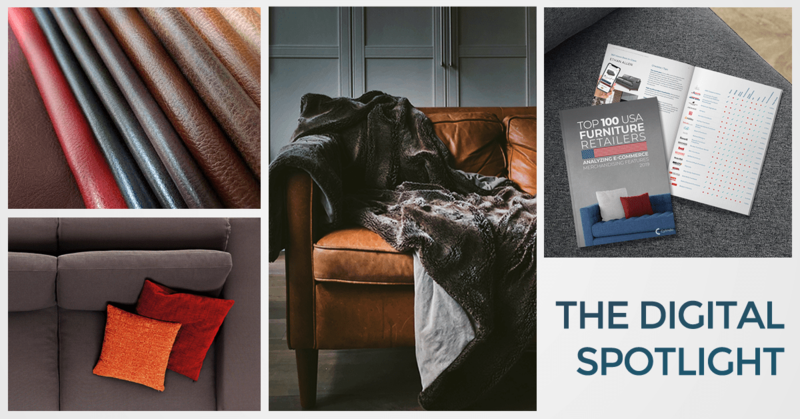 Here is the monthly round-up of all important news and articles in the world of furniture, e-commerce, and technology. According to Forrester Research, retailers who have put endless aisle strategies to work noticed that deploying this strategy accounts for up to 10% of their revenue. One of the most important benefits of an endless aisle strategy to customers is product personalization, the ability to get the product they want and when they need it, no matter whether the store has it in stock. They can also get faster service, and if the sales associates are busy, and there is nobody immediately available to help, the endless aisle is a good alternative, so customers can look through the products and variations while waiting for assistance. Is Amazon home for brands? Nowadays, many successful DTC brands don’t want to sell on Amazon. Among the reasons are Amazon’s hard refusal to share customer data that could aid the company, a lack of easy ways to find brands on Amazon’s search platform and the absence of any way to track attribution from places like Facebook. Brands also seem to dislike the general Amazon experience online, specifically how it is faceless and lacks customer service. Can brands survive without Amazon? Most of your e-commerce traffic begins with a search engine — and 67% of that web traffic goes to the first five results on the search engines results page (SERP). Which is why today it’s more important than ever for your business to display as high as possible on the first page for what your target audience is searching for. Evaluating and optimizing your keyword lists on a regular basis keeps your content high up in search engine rankings. This list will help you keep your content among the top results and bring in more visitors. 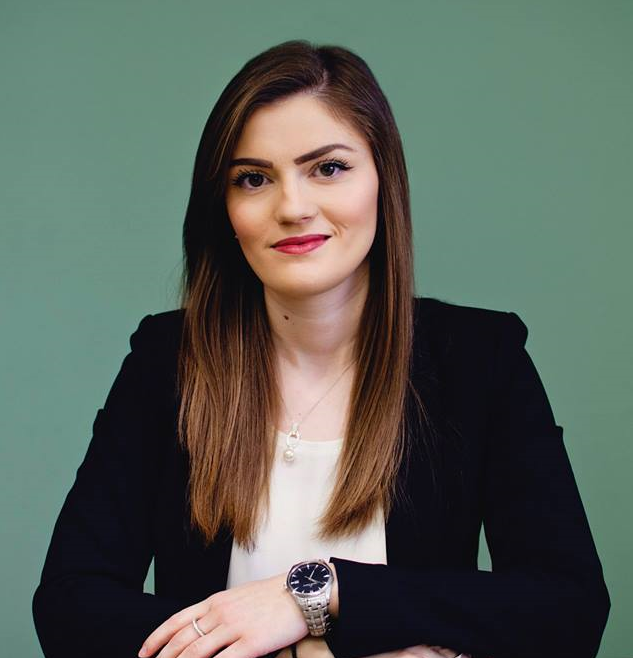 As we enter 2019, retailers and brands must realize that while in-store interactions with customers continue to be vitally important, much of the shopping journey is occurring in the digital world. 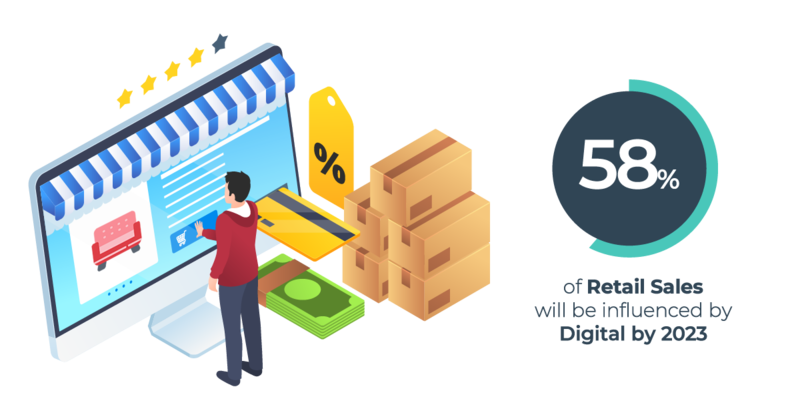 According to Forrester, 58% of U.S. retail sales will be digitally impacted by 2023, meaning those sales either will occur online or may occur in-store but be influenced by digital technologies. Retailers must learn to be more strategic in how they deploy their technology budgets and talent. They should go for specific projects with a beneficial outcome. Technology must actually solve a real problem or make things easier for the customer. So forget about PR stunts, that have no value. Savvy and subtle innovation — not robots, drones and flashy screens — are what’s needed most. 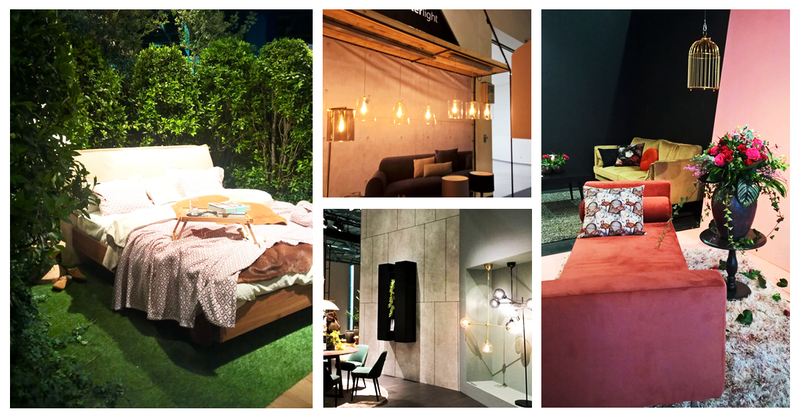 One of the largest furnishing industry trade shows in Europe, imm cologne took place from 14-20 January, bringing more than 150000 visitors from 145 countries to Cologne, Germany. 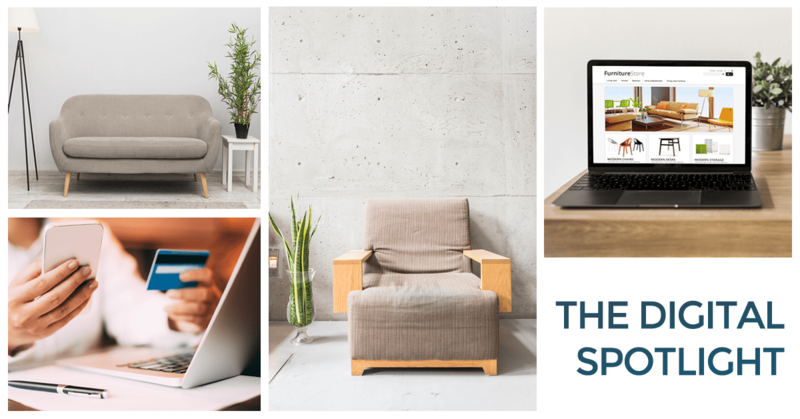 Besides furniture brands and traditional retailers, the major industry players in online retail - including Amazon, the Otto Group and Wayfair were also present at this event. Furniture is all about context. Details matter. When you visit some of the biggest furniture fairs, you instantly become aware of how much attention there is invested in furniture merchandising. And make no mistake. 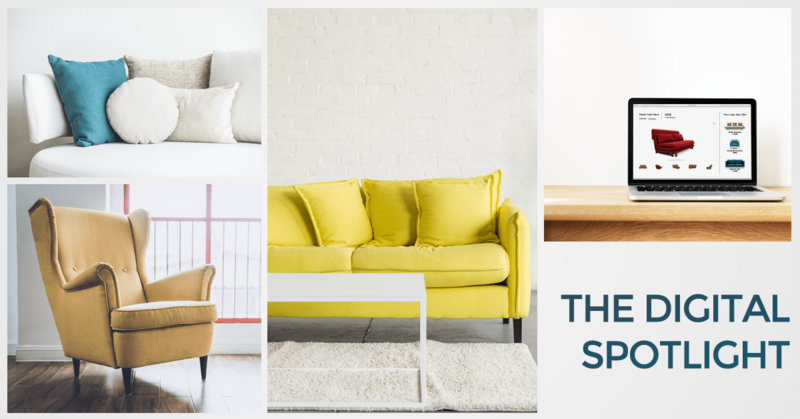 This is important for both in-store and online furniture sales. If you want to make a statement, make sure to have an outstanding visual merchandising. Furniture follows global design trends. Every year in December, Pantone announces the color of the year. For 2019 that’s Living Coral, and that instantly influences product development and purchasing decisions in home furnishings. Furniture visualization matters. Traditional retailers were faced with constant disruption from the digital pure-plays for many years. 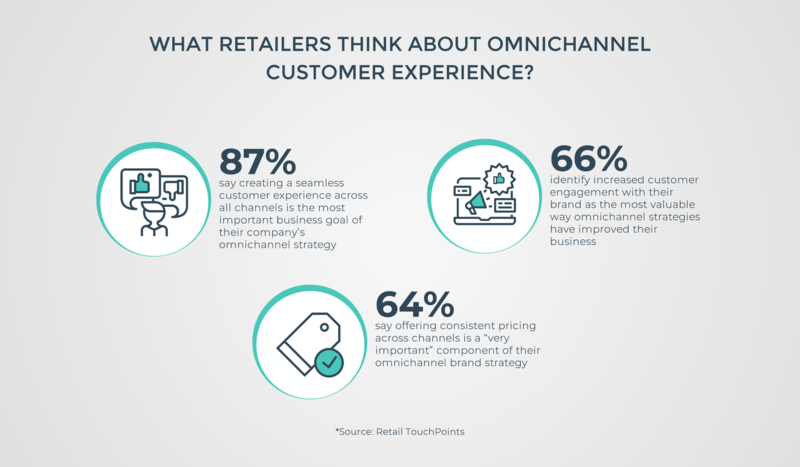 Now, they are stepping up their game, experimenting with new forms of engagement both online and in-store to deliver more compelling customer experiences. As online sales increase, furniture companies are well aware that having superior product visualization is a must. 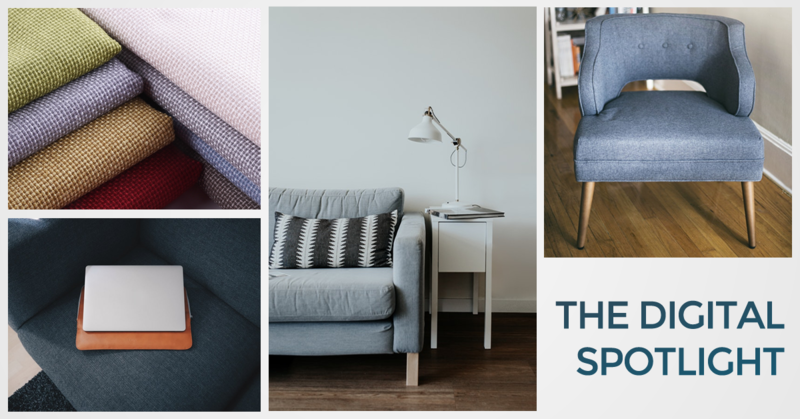 Digital Spotlight #13 - How To Introduce Frictionless, Engaging Experiences to Boost Furniture Sales?